The skin around the eyes is the most delicate and vulnerable, and therefore they age faster. It happens that the face remains young, but age given the treacherous crow's feet and sagging eyelids. What to do, how to tighten the skin? On the miraculous properties of creams and masks to calculate costs only in the case that the situation is not too bad. Otherwise you'll have to resort to more radical means. If your eyelids have not sagged badly enough, it is easier to prevent and delay the onset of adverse age-related changes. Use morning and evening, good moisturizers for the skin care around eyes. Every day massage the eyelids with ice cubes made from green tea or chamomile. Then the skin will remain elastic, and small sagging leaves. If the skin around your eyes is hanging quite noticeable, and you are ready to hire the services of a plastic surgeon, you may want to pay attention to the lifting hardware. The results are sometimes no worse than the effect of the operation. Lot of methods, but is particularly well tightens eyelids Thermage. This method affects the deep layers of the skin by the introduction of energy 6 MHz. The result is a heating of the dermis and hypodermis to 50-60 degrees, it leads to damage to the collagen fibers which then begin to vigorously synthesized. The result is a smooth and supple skin that is very tight to the muscle immediately after the procedure, and in addition more and tightens the underlying tissue, creating a kind of corset. The result from Thermage lasts about six months, then the procedure must be repeated – the only drawback (besides the fact that it is not cheap). But there is no postoperative period, immediately after Thermage to start living your normal life. If you don't like the idea of resorting to non surgical facelift every six months, perhaps. do the blepharoplasty. This eyelid surgery will give a much more lasting effect. It will eliminate the overhang of the upper eyelid, clean "bags" under the eyesof AMI, wrinkles around the eyes. The technique is as follows: the plastic surgeon makes an incision in the upper eyelid crease at palpebrale and removes excess skin and fat protrusion. In the area of the lower eyelid the incision is carried out along the ciliary edge, and through him also removed all superfluous. The patient is then sutured, which will be removed only 3-6 days after the surgery. To return to a normal way of life, not to impress others at the risk of swelling and bruising is possible with good cards in 10-14 days. But the risk of complications exist. The main cause of the overhanging century is the problem of the exchange of body fluids. Because of this edema. 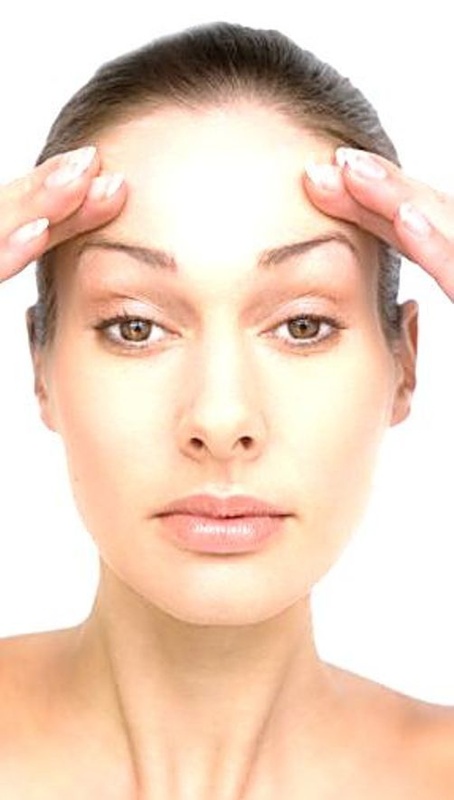 Very often the liquid is collected in the place where the skin is thinnest in the eye area. Often this problem is a result of aging and loss of skin elasticity and, as a consequence, weakening of the muscles around the eyes. There are many methods to eliminate this defect from folk remedies to surgery. A significant role in the appearance of overhanging the age also plays a heredity – if there is such, that it can occur at any age. With age, the defect becomes more noticeable. To remove drooping eyelids or at least make them less visible, should follow the following simple rules. Avoid or minimize salt intake. Salt retains water in the body, and thus promotes the appearance of puffiness, including around the eyes. Sleep in the correct position, put her head under the extra pillow – this will increase the outflow of fluid from the head, and hence from the eye. Sleep on your back because if you do it on the abdomen, in the centuries accumulates excess fluid. Do not drink at night a lot of water. At night, apply on eye special cosmetic products to avoid in the morning bags under the eyes and drooping eyelids. Try to avoid overstrain of the eyes, as swelling of the eyelids may occur because of fatigue. Avoid smoke-filled areas, stay in places where car exhaust and the like waste softly, as it also negatively affects the eyes. If you have an Allergy – try not to run into her reasons, as they can also cause swelling of the eyelids. Do not use medicines that may cause swelling of the eyelids (e.g., "Cortisol"). Use hypoallergenic cosmetics for eyes. To prevent swelling or to reduce it apply ice cubes to the eyes – this will improve circulation and reduce swelling. It should also be remembered that swelling of the eyelids can be caused by diseases of the kidney, thyroid, heart. If the overhang of the eyelids and swelling are constant, you should think over the operating solution to these problems. This operation is done as an outpatient procedure called blepharoplasty. This method of treatment is radical. The operation involves an incision of the century, removing excess subcutaneous tissue and removal of excess skin, after which the eyelid is sutured. 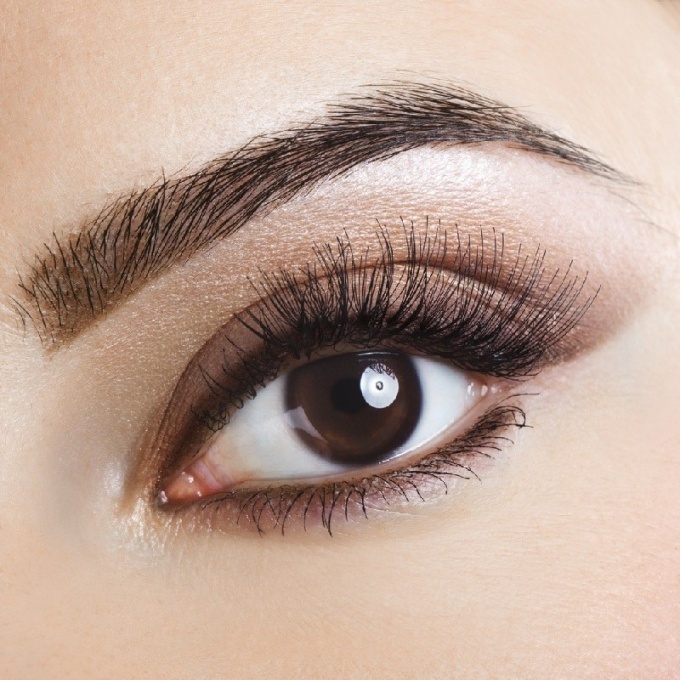 To upper eyelids have become larger, will need a special makeup that will make your eyes expressive and attractive. It can be done independently, do not have to consult a professional stylist. Just a couple of strokes with the brush will make your eyes bigger. For unknown reasons, small and drooping eyelid among most of the girls considered ugly. But pay immediate attention to such models as Natalia Vodianova and Kate moss. They have very small eyes and heavy, drooping eyelids. If you want to give the upper century, more volume, then you need to make a special makeup for that purpose. You should consider the fact that the upper lid must be a little lighter than it is in reality. It is advisable to do makeup for a special technique. For the day option is preferable to use only shades of neutral colors, such as beige. The first step is to cover all mobile eyelid creams. This step will allow you to fix the future makeup. Followed by a little shading to the crease, as if drawing a line. It is desirable to use a light brown shade. The next step is apply all over the eyelid a little shade light shade, vysvetlit corner of the eye. So your eyes will look a few more. To complete the image will help the liquid eyeliner and mascara. 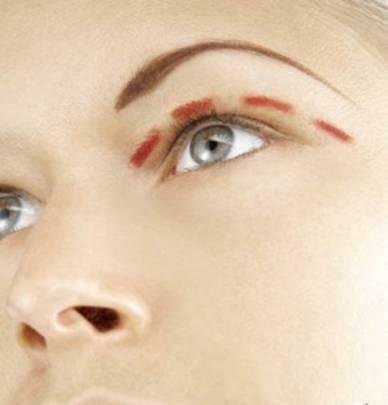 To do this, draw a fairly broad arrow, and use a lengthening mascara. If you want to give the look of romance and drama, then buy in a beauty shop false eyelashes and glue them. Drawing the crease of the upper eyelid shadows, be very careful - do not go to the corner of the eye and the area of eyelash growth, these places should not be dark. Don't forget about the purple and blue hues. They can also be used in the eye makeup. These shades give eyes a mysterious depth and drama. The lips can be bright and expressive. This image would be appropriate at a business meeting or a date with your loved one. If you want to make the eyes expressive, use a technique called smoky ice. For a start, work the lashes and lower eyelid with black eye shadow. Blend these lines with a brush. Next, apply a gray shadow on the area of the upper eyelid and in the crease. Blend the result. This will make your eyes expressive and luxurious. Draw arrows gel or liquid eyeliner. Complete the makeup by applying mascara. Lips in this case should not be bright, use a lipstick with a beige or pink hue. This makeup is very suitable for evening.